I find that the older my children get, my love for a more traditional Christmas holiday comes through. And while this palette is a little too rustic for my tastes with the burlap, I do love the warmth of the green with the burlap color. 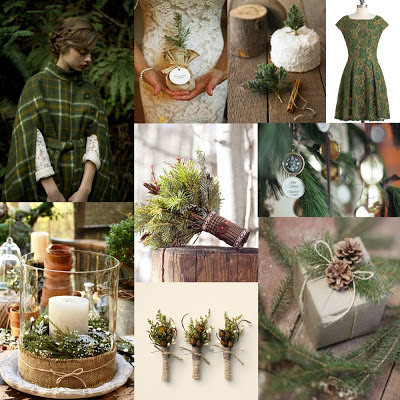 It just feels cozy to me...And that coat in the top left would be such a unique touch to a wedding ensemble!